spring water” in the Tribe’s native Patwin language. As the historical inhabitants of California’s Capay Valley, the Tribe’s homeland is at the heart of their culture and heritage. For centuries, their ancestors hunted, tended the land, traded and prospered in the watershed of Cache Creek. of their community. Powered by hard work and determination, Yocha Dehe tribal citizens developed a successful management strategy and a world-class casino resort. The independence gained from gaming revenue has allowed the Tribe to reacquire some of its traditional lands, invest in greater community health, wellness and education, and provide generous philanthropic funding for surrounding communities and groups in need. Yocha Dehe designed and built the Séka Hills Olive Mill in Capay Valley. Its proximity to local orchards enables olives to be milled quickly after harvest, preserving the freshness required in the finest oils. The Tribe owns and manages one of the most diverse farm and ranch operations in Yolo County, with a dozen crops, 300 head of cattle and 250 acres certified organic. More than 1,200 acres are in permanent conservation easements to preserve wildlife habitat and a healthy environment. 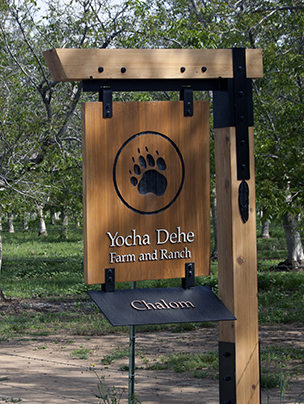 Yocha Dehe maintains a commitment to the environment through their continued efforts to preserve and protect it for future generations.